This baby store interior design was for ZARA children's clothing shop. We are shop fixtures and fittings company China, offer free kids store design, and manufacture store display furniture. This wall hanging display cabinets: vertical veneer finished, laminated deck, one shelf, rear panel, one hanger rack, spot light, logo, toe-kick. It provides a custom look with a factory price. 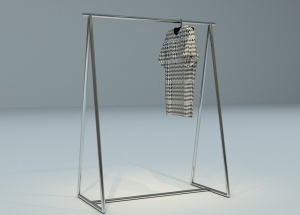 This hanging clothes rack is a stainless steel racks. 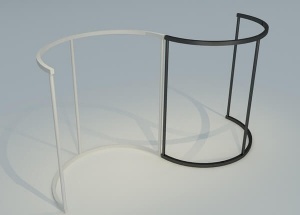 We can custom made the hanging clothes rack with MDF(baking paint or veneer finishes),. 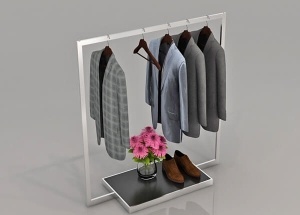 This gondola clothes rack are made by silver stainless steel and glossy black baking paint finishes. 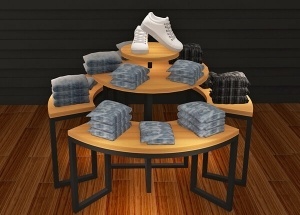 It's a free standing clothes rack. 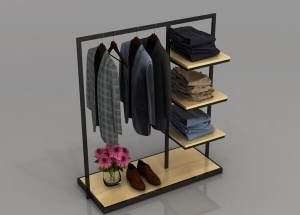 This stainless steel clothes rack are made by black stainless steel and wood veneer finishes. 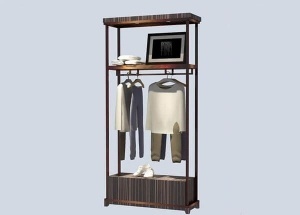 It's a free standing clothes rack with 3 wooden shelves.